Ever tried this wonderfully moist and tasty cranberry walnut muffins? It's very simple and quick to make. 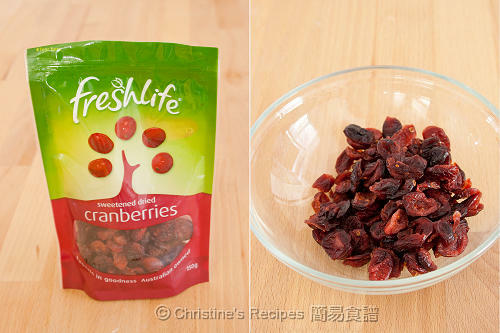 Dried cranberries can be a healthy snack on its own. They can help improve our digestion and lower cholesterol levels, providing with different vitamins. I like its tartness that will enrich a dessert or snack with more depth of flavours. 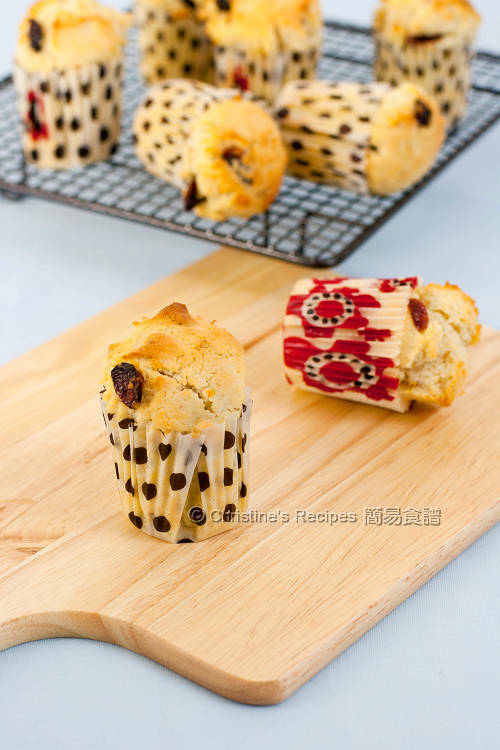 As for making these wonderful and versatile snacks, humble muffins, adding a handful of dried cranberry nearly turns the ordinary muffins into a delicacy treat. Who can resist these little cuties? Melt butter in a microwave oven or in a bowl over simmering water. Use an electric mixer to beat the egg and sugar until fluffy and pale, about 5 minutes. Mix in the melted butter, buttermilk, orange zest and combine well. In a large mixing bowl, combine plain flour, corn flour, baking powder, salt. Sift in egg mixture in batches, combine well between the adds with a spatula. Make sure that you don’t over-stir. Stir in cranberry and walnut. Spoon batter into lined muff tray holes. In the preheated oven, place the muffin tray on the middle rack, on the bottom rack place a baking pan filled with water halfway in order to keep muffins moist. Bake for about 20 to 25 minutes, until muffins turn golden brown. 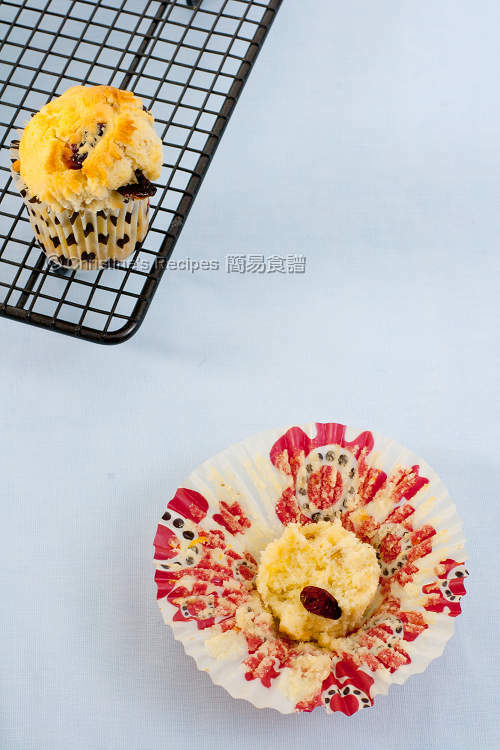 If an inserted needle comes out clean, the muffins are cooked through. Remove from oven and let cool on a wire rack for 2 to 3 minutes. Remove muffins from the tray. Serve warm or let cool completely and store in an air-tight container. They can be kept for a few days. Walnuts taste mildly bitter with their skin on. Your can toast the walnuts in a preheated oven at 150C/ 300F for about 8 to 10 minutes. Once you smell the fragrance of walnuts, remove from the oven immediately. Rub with a clean towel or use a fork to scrape and remove the skin. It helps reduce their bitterness. Then roughly chop them as the instructions required. If you don’t mind the bitter taste, simply skip this step. Dried cranberry is available at supermarkets. Buttermilk works better with this recipe and can help produce wonderfully moist and tender muffins. If you can’t find any, just replace it with milk. what pretty looking muffins. I've been looking for a butter-rum muffin. Do you have any ideas? Very pretty! And I love the combo of cranberry and walnut. Super! Just baked and followed your exact measurement. It turned out pretty looking and the combination were just perfect! Thanks for sharing. Glad that you liked this recipe. Thank you. Where can we buy buttemilk? Is woolworth/coles have one? I got it from Coles, chilled section, near the custard and yogurt. Thanks Christine for the sharing. Lovely to look at and healthy to eat. Very good. 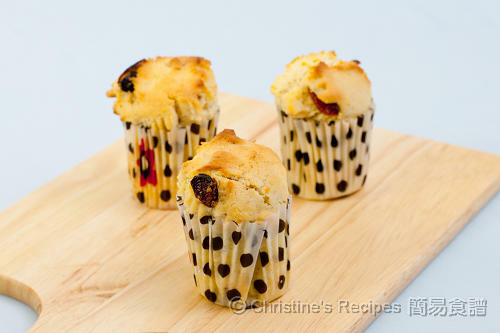 Your muffins looks absolutely delicious, Christine, walnuts and cranberries combinations match perfectly well judging from your photos!I like to see how tall your muffins turned out. Those muffins look amazing. I will have to try out the recipe ... and maybe even play around with using dried cherries. Btw, where did you get those cute muffin cups? I can only ever find the standard pastel colored ones, and the broing tin foils. 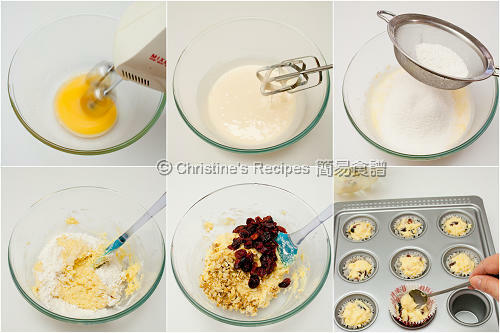 Hi Christine, I would like to know what the corn flour does to the muffin? It helps produce a more delicate texture. Hi christine, can i replace buttermilk with Yoghurt....?? Sure, you can. But you have to adjust the amount of it to get the right batter consistency. This method can help keep your muffin moist. You may skip this method, watch out for the oven temperature and baking time.